Do you or someone you love suffer from lack of confidence? Is lack of confidence preventing you from going after your dreams? I present you understandings and step-by-step processes to transform your lack of confidence into unstoppable confidence. 2 What is lack of confidence? 3 What is the difference between lack of confidence and low self esteem? 5 In what areas of life, do you lack of confidence? 5.1 Lack of confidence in social settings. 7 How to become confident and not shy? Does your lack of confidence prevent you from achieving your goals and dreams? Does your lack of confidence keep you stuck in life? Do you feel that you are pushing a heavy rock uphill in life? Do you feel the pain of knowing of all what you are missing out of life- because of lack of confidence? If you answered yes to any of the above questions, I understand because that is the way I used to feel. You absolutely can become confident and live your dream life. You deserve it. What is lack of confidence? 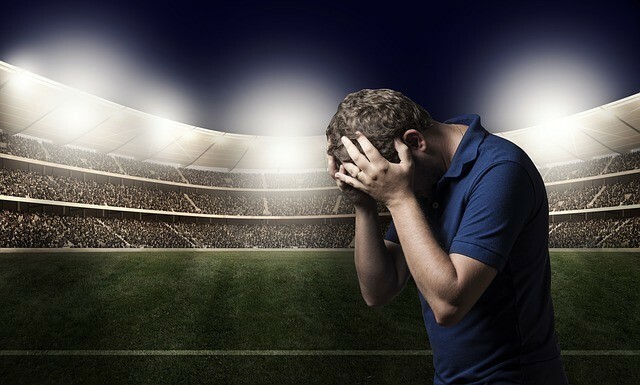 Lack of confidence is a state of doubt or insecurity about our capability or ability to perform an activity or to achieve a desired outcome or goal. We all have confidence in our ability to do certain activities while lack of confidence in our ability to perform other activities. For example, you might be confident on your biking skills while you are not confident on playing piano. Confidence versus lack of confidence might also show up in different areas of life for people. For example, a woman that is confident performing her work while she is not confident in the dating arena. Lack of confidence can be due to our lack of skills in a given area. For example you presently might not be confident on playing piano but you are confident that you are capable to learn it. This type of lack of confidence does not hold you back because you know you are capable to learn new skills if you decide to. In other spectrum, lack of confidence can be due to low self-esteem. When lack of confidence is fed by lack of self worth and fears, then it limits and holds us back enormously in life. What is the difference between lack of confidence and low self esteem? Lack of confidence is tied into limiting beliefs of capabilities and fears – while low self esteem is tied into false beliefs of low self-worth. Low self esteem is it an internal state of not recognizing and not embracing the inherent worth that is yours and that is completely independent of any achievements, looks, money or anything physical. On the other hand, lack of self-confidence is the result of a combination of low self worth, fears and limiting beliefs of capabilities. Low self esteem contributes to lack of confidence because subconscious and conscious programs of lack of self-worth feed beliefs of “I can’t”. For example: I am not good enough to share with others my knowledge. Therefore, I am not capable to provide value to others. Beliefs of lack of self-worth feed beliefs of “I can’t”. For example: I am not good enough to share with others my knowledge. Therefore, I am not capable to provide value to others. Toxic emotions tied into low self-esteem such, as shame and self-rejection are very painful. Therefore we develop fears of exposing ourselves to situations where potentially those painful emotions could be triggered. Our fears of taking action to avoid pain feed lack of confidence. There are people that project an external image of high confidence while they hold a low internal self worth. A category of people that exhibits this contrast between external image and internal state is the – Confident external image archetype of low self esteem. First, you might simply have a gap in the skills needed to feel confidence to achieve your goals in life. In this case is a matter of you researching what skills are needed and learning them. It is also helpful to get the guidance of a mentor who has those skills. Second, you might have no confidence in certain area because is outside your comfort zone. In other words, you lack practice on performing the skills. In this case, it is just a matter of you practicing again and again the skills until you feel comfortable and therefore confident. Third, you might have no confidence because you lack self belief and self trust in your capabilities and innate potential to learn and grow. In this case the underlying reason for lack of confidence is low self esteem. Forth, you might have no confidence because you get sabotaged and even paralyzed by deep-seated fears. Examples of fears that are confidence destroyers are: fear of failure, fear of being judge, fear of rejection, fear of being seen, fear of embarrassment, fear of love etc. The root cause of the third and fourth reasons of lack of confidence, listed above is trauma. Healing traumas builds your self-esteem and self worth, as well as, free you from sabotaging fears. Your default state becomes authentic confidence. In what areas of life, do you lack of confidence? It is common for people to have confidence in some areas of life while have no confidence in other areas. If that is your case it is an indication that: Either you just lack skills and practice in the specific areas where you lack confidence. Or you have specific fears related to that area of life. For example someone might be confident in the area of dating and romantic relationships while lacking confidence at jobs. In this example a potential reason is fear of authority figures. At jobs, managers are authority figures. It is also common for people to lack confidence to different degrees in all areas of life. If that is your case, you have an underlying low self esteem and fears that branch out and sabotage all areas of your life. Please do not be discouraged; you can become confident. Lack of confidence in social settings. The signs of lack of confidence in social settings are fear and anxiety to socialize. It is also called social anxiety. People with social anxiety often time are shy and timid. They usually have low self esteem and can exhibit a bashful nature. Lacking confidence to socialize is due to low self-esteem and fears. Typical fears that can make someone feel not confident to socialize are: fear of conflict, fear of criticism, fear of embarrassment, fear of rejection, fear of not being good enough, fear of getting hurt physically or emotionally etc. A lack of confidence in attracting romantic relationships can be a sub-set of an overall lack of confidence and shyness to socialize and meet new people. On the other hand, there are people that are very confident in most social settings but are lacking confidence in the area of romantic relationships. Fears such as fear of losing independence, fear of rejection, fear of getting heartbroken, fear of love etc. If you lack of confidence in any of the stages of romantic relationship, including the initial stage of dating, – and you have not identified with any of the potential factors listed above, then the answer is in your subconscious. You might have some of the listed beliefs and fears outside of your conscious awareness; in other words they reside in your subconscious mind. To uncover signs of lack of confidence hidden in your subconscious, pay attention to your thoughts and mind chatter as it relates to romantic relationships. If you truly desire to attract a romantic partner and you are avoiding taking steps in this direction, then you have a sign of lack of confidence in this area. Taking steps might include getting clear of why you desire to attract love and the qualities you are looking for in a romantic partner. It also includes taking steps to meet new people. True desire means that your motivation does not come from social pressure, such as you are supposed to get married before certain age – or you are supposed to be dating to be cool to your peers. The false beliefs of being unlovable or unworthy of love are often uploaded to our subconscious during childhood either through repetition and/or traumas. If you as a child felt unloved repeatedly for any reason, may be your parents very busy or emotionally unavailable and then you concluded that you are unlovable. Or you might have experienced in childhood one or more emotionally intense events or traumas that led you to believe that you are unlovable and unworthy of love. Even if your parents were usually loving, if you experienced an event where you were triggered with painful emotions of feeling unloved, then you uploaded fears and false beliefs about your lovability. Do you relate to the following quote from Rumi’s poem? Do you keep your potential partners at a distance – to shield yourself from potential pain? Do you have fear of love ? Thoughts of one or more of the following fears arising in your mind: Fear of failure, fear of making mistakes, fear of rejection, fear of success or fear of some negative consequences of reaching your money goals, fear of change, fear of unknown etc. Any thoughts of shame, guilt, regret or anger about financial mistakes. Therefore, it is important to forgive ourselves for all our financial mistakes. Being aware of the signs of confidence also helps us, by contrast, to identify aspects or areas of lack of confidence in others and ourselves. An authentic confidence includes a high self-esteem or self worth. To read about signs of this foundation of confidence go to: Signs of high self-esteem. You feel appreciation for your body as a magnificent expression of creation. You feel beautiful from within regardless of your body weight, shape or age. You feel capable of maintaining or regaining perfect health. A sign of confidence is following a healthy lifestyle to honor, respect and love your body. In return, your vitality and wellness is increased which further boost your confidence. Being optimistic is a sign of confidence. When you are optimistic you embody self-trust in your capabilities to navigate life with ease and grace. You also trust that all life supports your heart based desires that are in harmony with the good of all. Resilience is a sign of confidence in your abilities of rising up from set backs – and coming back even stronger. When you are resilient, you perceive life challenges as learning opportunities. You forgive yourself for all failures and mistakes and transform them into nuggets of wisdom. Willingness to take on challenges is a sign of confidence in your ability to learn new skills, to seize potentially rewarding opportunities and navigate challenges. You are also willing to take some risks because you are confident in your ability to rise up in the event of any set back. In other words, your ability to stretch the boundaries of your comfort zone is a sign of confidence. Authenticity is a sign of confidence in your ability to stay centered in self-acceptance and self-love even in the midst of any harsh judgment. You know that when others judge you, they are actually judging themselves. You know that you are just a mirror reflecting back to them subconscious aspects or qualities they judge about themselves. This aspect of your confidence allows you to fearlessly express and share with the world your gifts, talents and experiences. Being able to adapt to change with ease is a sign of confidence because you trust your ability to be flexible, to learn new skills, to adapt to new people or circumstances and to navigate life. How to become confident and not shy? The most impactful step to become confident and not shy, it is to become fearless by turning on your strengths. You have an innate wealth of strengths and power that have been undermined by Core Fractures. In my own journey of overcoming performance anxiety, lack of confidence and shyness – I tried many technique and tools. In my experience the most effective and easy to implement technique to become confident and not shy is the toolkit of Repairing Core Fractures. This program includes your personalized frequency codes for Repairing Core Fractures – that are customized for you to turn on your strengths, step into your authentic power and become fearless. This technique takes advantage of the fact that your subconscious mind does not differentiate between imagination and reality. Choose a scenario where you would like to feel more confident. For example: Starting and having conversations with new people, performing on stage, starting conversations with someone you are attracted to etc. Sit or stand with your back straight and your chin slightly up. Think how somebody confident would sit or stand, – then adopt those body postures of confidence. In your eyes mind run the movie of the scene where you are feeling and acting confident. Check in with the sensations of your body. Do you feel calm, secure, safe and confident? Do you feel confident and joyful? It is important for you to be able to feel confident, while visualizing, – to train your subconscious to feel great and be confident. If any fear or anxiety arises while you are visualizing, stop the visualization and focus on the sensations of your body. Just allow the feelings of fear or anxiety to wash thorough your body until it subsides. Allow yourself to feel the discomfort of the fears. Trying to repress or escape from fear or anxiety, it does not work. If you are not able to get yourself in a state of feeling confident and calm while visualizing the chosen scenario, do not force it. Instead, chose a scenario that is less challenging for you. For example, instead of visualizing yourself public speaking to hundredths of people- visualize yourself in giving a presentation to 2 or 3 people. Once you find a scenario or movie that you can visualize while feeling confident, repeat the same visualization for 21 days. Test out the scenario that you visualized for 21 days in real life. For example if you visualized yourself giving a presentation to 2 or 3 people, find friends or family members you can practice with. Practice with small groups multiple times until you feel confident and comfortable doing it. Once you have proved to yourself that you are confident and comfortable in your chosen scenario both in your visualizations and in real life, – you are ready to the next step-up of your comfort zone. In our example about presenting, you would increase the size of the audience from 2 -3 people to the next step-up that you are able to visualize without resistance. For each step-up, follow your 21 days visualizations with multiple real life tests of the specific scenario. In this way you slowly expand your comfort zone until you reach your goal. For example, your goal might be to be confident and comfortable public speaking to audiences of thousands of people. Be patience in the process of stretching and expanding your comfort zone. If you find that you are not able to follow this process of expanding slowly your comfort zone and becoming confident, do not be discourage. It is an indication that you need a more powerful tool such as the personalized codes of Repairing Core Fractures. Our subconscious mind creates multisensory associations to events with high emotional charge. This is the case both for negative and positive emotional charges. 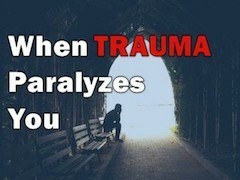 Traumas are events with high emotional charge that can result in PTSD. In the case of PTSD, the subconscious stores the sensory input (sight, sound, smell, taste, touch) present during the trauma. The subconscious makes an association of one or more of the sensory input to danger. Afterwards, the subconscious is triggered by the stored sensory associations and replays the intense fears and negative emotions of the original trauma. Anchoring for confidence consists of programming our subconscious mind with chosen sensory inputs associated with responses of feelings of confidence and positive emotions. As opposed to traumas, this is done with awareness and deliberate positive programming. Find a scenario that you can play out as a movie in your eyes mind that makes you feel very confident, safe, secure and calm. The more intense the feeling of confidence, the more effective the anchoring will be. The movie that you choose can be a past event when you felt great confidence. You can also choose a movie that you create. It does not matter. The important aspect is that the scenario or movie you choose makes you feel very confident. Choose a sensory input that you will use to associate with the feeling of great confidence. Use a sensory input that you can easily reproduce on demand to trigger the feeling of great confidence when you needed. Some examples are: Pressing the tip of your thumb and index fingers or pressing a knuckle on your hands or making a fist. These are easy to use in public. Repeat the previous step for 21 days, 2 or 3 times per day. Repetition is needed for you to create the neural pathways of the desired association. After 21 days, test it out. Start with sensory input you have been using and pay attention to the feelings that arise. You will know that the neural pathway is completed when the chosen sensory input triggers a great feeling of confidence. Be patience, it might take more than 21 days to form the neural pathway for the chosen association. In that case continue with the practice of anchoring and test it every 7 days. Once the neural pathway of the chosen anchoring is strongly in place, test it out in public situations when you feel you need a boost of confidence. The two foundations of letting go of shyness and becoming confident are: Letting go of fears and building self-esteem. To learn about ways to build self esteem go to: How to build self esteem? And How to help someone with low self esteem? My intention is that you free yourself from the chains of lack of confidence and navigate life with ease, joy and fun. Initially it does take some perseverance but it becomes easier and easier. Celebrate your progress as you journey in shedding fears as you reclaim your true confident self. It is an exciting and liberating journey; go for it!